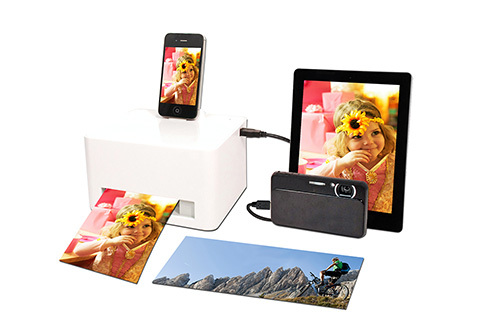 Print 4"x 6" or panorama color photos right in your own home! No computer is required — the Smartphone Photo Cube Printer is compatible with all portable devices, either through the dock or the USB port. 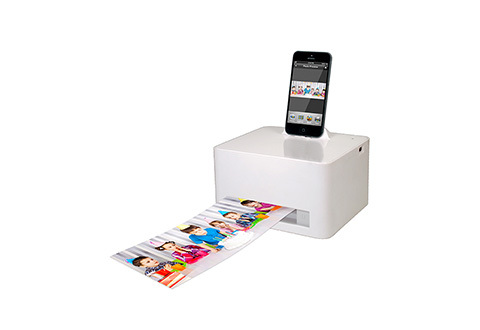 One convenient cartridge neatly stores all the paper and ink to make borderless color photos in three sizes: 4”x6”, 4”x11” and 4”x16". 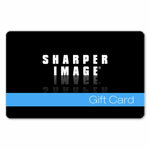 Use the free app to make collages, greeting cards, ID photos, wallet-size photos and more! 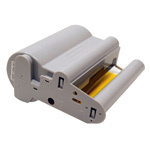 Includes 10-sheet trial cartridge. 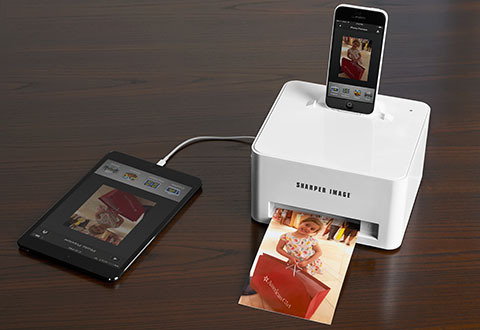 Get your favorite photos off of your smartphone... and onto high-quality paper! 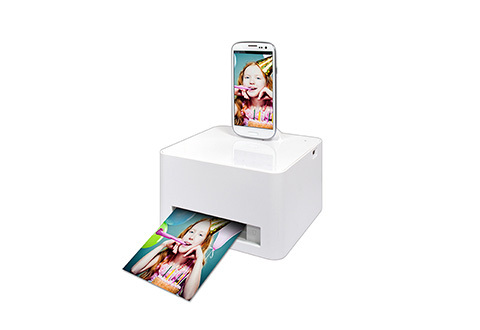 The Smartphone Photo Cube Printer makes amazing color photos, without a computer. iPhone 5/6 Lightning dock for iOS devices (White): Compatible with iPhone 5/5S/5C/6/6 Plus/6S/6S Plus, all iPads and iPod touch 5th gen or later. Older iPhones/iPads with a “30-pin” connector plug into the USB port to print photos. Android/Micro USB dock for Galaxy/Android devices (White): Compatible with Samsung Galaxy, Blackberry, Sony, HTC and all other Android smartphones and tablets. 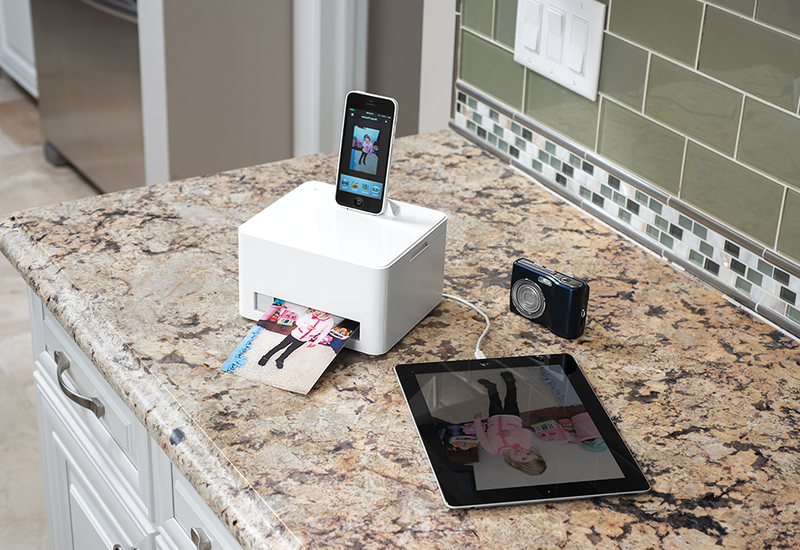 Devices can also plug into the USB port to print photos. iPhone/Android combo unit (White): Compatible with all Apple (iOS) and Android devices (iPhone, iPad, iPod touch, Samsung Galaxy, Blackberry, Sony, HTC, etc. 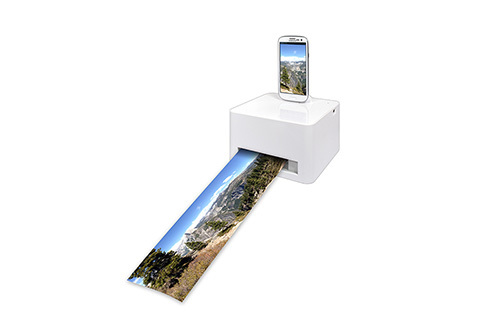 ), by using the Lightning dock or the USB port. 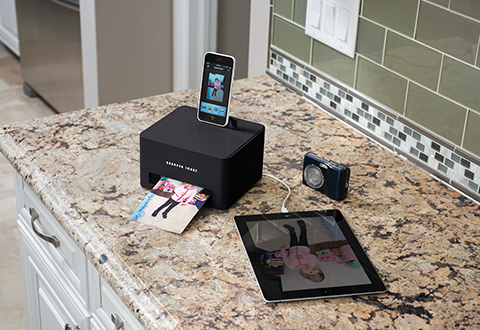 iPhone 5/6 Lightning dock for iOS devices (Black): Compatible with iPhone 5/5S/5C/6/6 Plus/6S/6S Plus, all iPads and iPod touch 5th gen or later. Older iPhones/iPads with a “30-pin” connector plug into the USB port to print photos. iPhone/Android combo unit (Black): Compatible with all Apple (iOS) and Android devices (iPhone, iPad, iPod touch, Samsung Galaxy, Blackberry, Sony, HTC, etc. 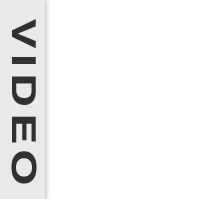 ), by using the Lightning dock or the USB port.